Cartier Baiser Vole Showergel gently cleanses the skin. Cartier Baiser Vole uses the extraordinary fragrance of the lily, to create an unique expression of this majestic and elusive flower. 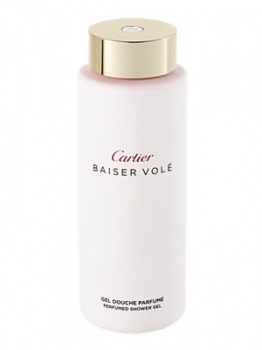 Cartier Baiser Vole uses the pistil for its powdery sensuality, the petals for their floral carnality and the freshness of the leaves, to create a unique fragrance for women.